The type of dental bridge we use for your smile will depend on which teeth are missing. We will perform a thorough examination before moving forward with your dental bridge. 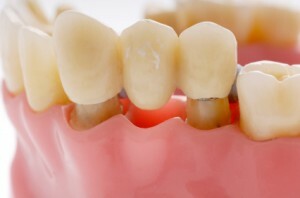 A traditional dental bridge, and the most common type offer in our dental office, is made of two crowns and a high-quality replacement tooth called a pontic. We place the dental crowns on the teeth adjacent to the empty gap to anchor the pontic in place. Dental bridges in Berkley, Michigan are created to be long lasting and beautiful. If you would like more information about the benefits of dental bridges, please call or visit our dental office. Our dental team is excited to help restore your beautiful smile!